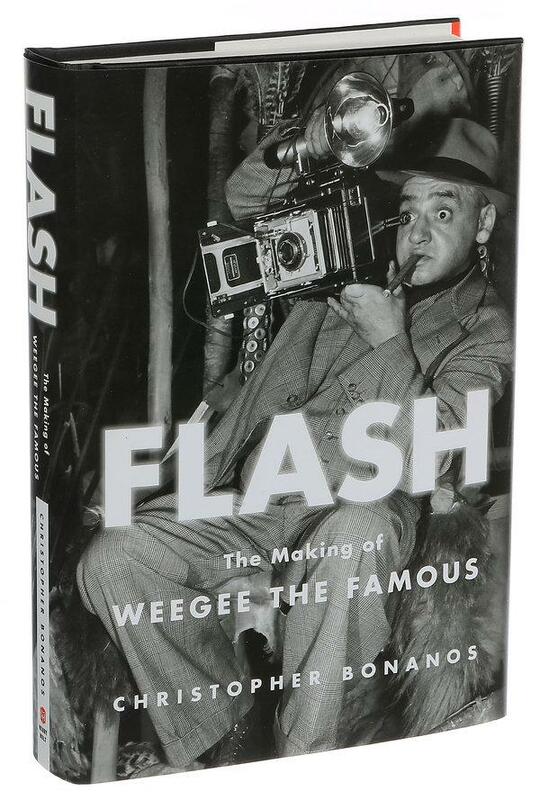 I’m reading Christopher Bonanos’ biography of Arthur (Usher) Fellig, aka Weegee. A brash immigrant kid, he started working joe jobs in photography studios at 14 and eventually became a celebrated photojournalist specializing in gangland crime and the seedy street world of New York. 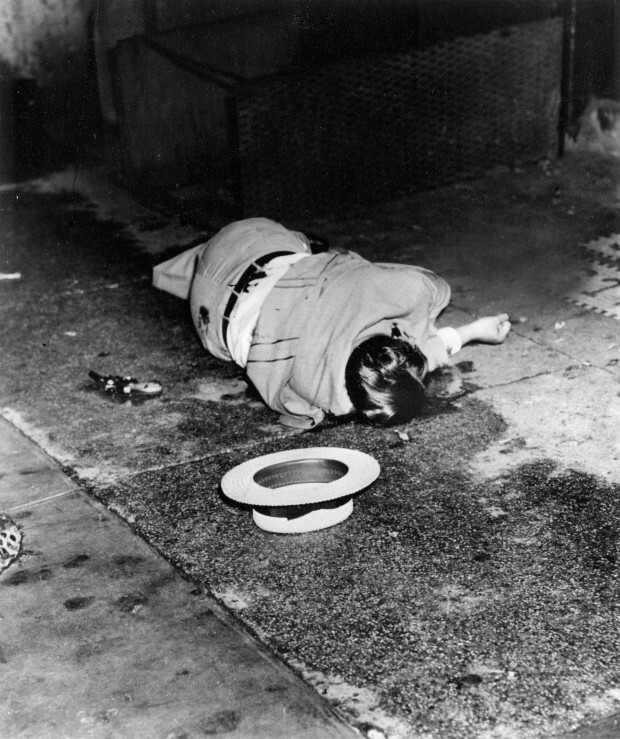 Weegee didn’t always shoot the corpse. Take this celebrated photo, titled “Their First Murder” (1945). “The Critic,” one of his most famous photos, was shot outside the Metropolitan Opera House on opening night in 1943. A sad, possibly homeless, woman stares at two society ladies. 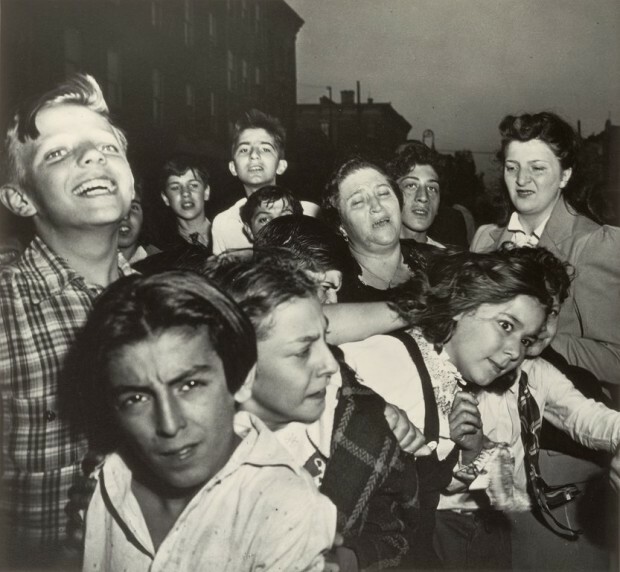 Although Weegee never admitted it, Bonanos reports that the photo was staged. 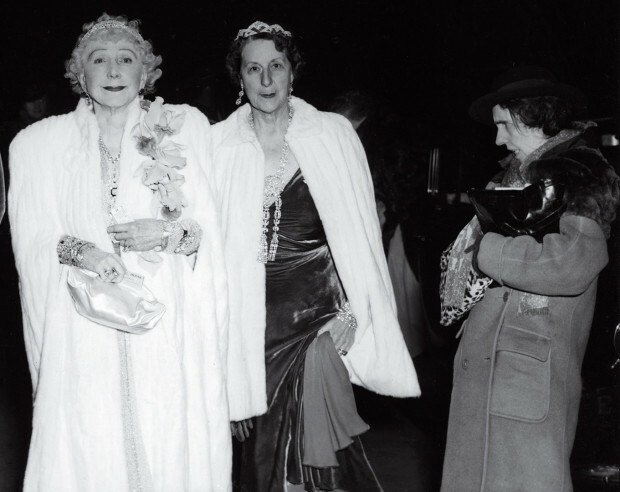 Weegee gave the woman alcohol, brought her to the Met, and waited for the right moment. 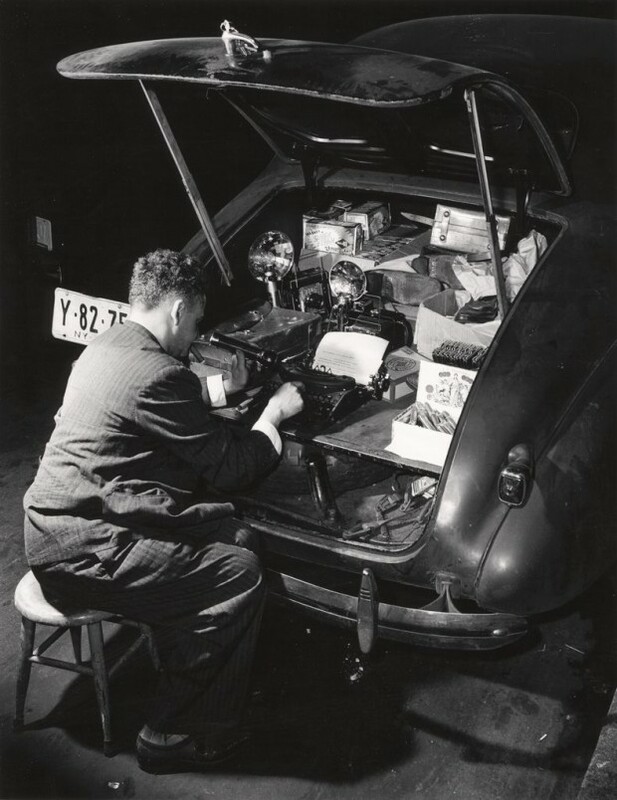 At a crime scene, Weegee would open the trunk of his 1938 Chevrolet “business coupe,” take out a stool, and start typing captions. Here he’s holding a flashlight as he types. The trunk contains two Speed Graphic cameras and boxes of flash bulbs, film, cigars, and other paraphernalia.